The Los Rios Police Department (LRPD) responded to a reported incident in the Science building on the north end of campus that potentially involved a weapon. The incident occurred Thursday night at approximately 7:40 p.m., according to a campus-wide e-mail sent by LRPD. 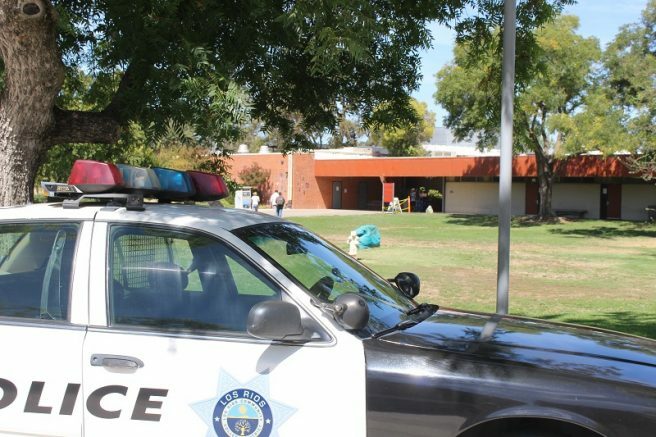 With the assistance of the Sacramento County Sheriff’s Department, LRPD went door to door throughout the building asking students and faculty to take shelter while officers investigated the report. Classes resumed after officers determined there was no credible threat to the campus. Professor Mike Payne was teaching his Chemistry 400 Lab when police responded. “They asked us to lock down and stay sheltered … to stay away from windows and doorways,” Payne said. Payne said he felt fine as police secured the area and that the students remained calm during the lockdown. Los Rios public information officer (PIO) Scott Crow said the LRPD’s response was a good example of adhering to the school’s admonition that students who see suspicious activity should say something. “”We would rather have 100 unfounded incidents than have one credible incident on campus,” Crow said. Be the first to comment on "LRPD responds to campus incident"